Best Tummy Tuck in New York City - Learn more about our tummy tuck surgery to restore your ideal figure after pregnancy & weight loss. One complaint that Adam Nadelson, MD, commonly hears from patients is that they are frustrated with their diets and exercise program, they cannot attain a firm, flat abdomen. In many instances, it is not the patient’s fault. Many times, major weight loss (even bariatric surgery) and pregnancy are to be attributed to the inability to tone or attain a flat tummy. Pregnancy can cause a woman’s abdominal muscles to become separated away from the midline or severely weakened (i.e., rectus diastasis), making it impossible for some women to tone their midsection. 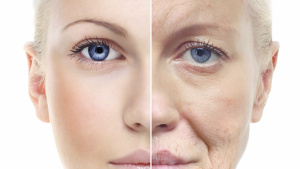 In other patients, during the normal aging process, the body gradually decreases the production of collagen and elastin, two proteins that are necessary for healthy skin. As this occurs, the skin begins to lose its elasticity, causing it to sag, wrinkle, bunch up, or show stretch marks. Generally, once the skin is greatly stretched, it cannot return to a smaller size or shape, no matter how frequently the patient exercises or how adherent they are with proper diet. Thankfully, the abdominoplasty procedure, preformed by Dr. Adam Nadelson in his New York City ambulatory Surgery Center can address these issues of stubborn abdominal fat, sagging belly, stretched abdominal skin, and separated abdominal muscles. Dr. Nadelson frequently uses liposuction in combination with tummy tuck to provide his patients with an optimal aesthetic result. To schedule a consultation with Dr. Nadelson, Contact his office at (212)-500-2163. Tummy tuck is an outpatient surgical procedure, performed under general anesthesia. Many times, the patient requires liposuction, which Dr. Nadelson performs first during the procedure. Dr. Nadelson makes a horizontal incision across the lower abdomen, extending from one hipbone to the other. Although the required incision is significant, Dr. Nadelson strategically positions it in an area that can be easily concealed by underwear or a bathing suit. Dr. Nadelson eliminates excess skin before repairing the damaged abdominal muscles, using internal sutures to create a firm abdominal profile and to hold the restored stomach muscles in place. He then pulls the remaining skin taut and repositions the navel (belly button) to align with the new contour of the abdomen. Dr. Nadelson closes the incision with strong, but dissolvable, stitches and dresses the treated area with bandages. Liposuction of the abdomen and flanks is frequently performed at the time of tummy tuck surgery to enhance the result further. Before tummy tuck surgery, patients receive complete pre- and post-operative care instructions. Individuals should expect to take about two weeks off from work or their normal routine. Many patients require the use of pain medications for a short period of time. Patients might experience swelling and bruising in the treated area, as well as pain, discomfort, numbness or a tingling sensation throughout the abdomen. Patients can gradually resume their usual exercise regimen as directed by Dr. Nadelson. They should avoid crunches or other stomach exercises for at least six weeks after surgery. Patients are required to wear a compression garment over the midsection for four weeks following the procedure. In your consultation with Dr. Nadelson, he will provide you with a price estimate that is based on factors specific to you as a patient. During your consultation, you may also wish to ask about the financing options available, which create an affordable monthly payment method with low to zero interest.